Visit Best of New York for your next NYC vacation. Gut Instinct - Holy Moses! I've always loved the areas that legally belong to one borough, but geographically to another. The most famous of these is Marble Hill - once part of Manhattan Island, the small neighborhood was cut off from it by the Harlem River Ship Canal in 1885, forming an island for the next 22 years until the creek separating it from the Bronx was filled in in 1917. Today it's got a 718 area code, but votes for Manhattan Borough President. Another of these are the waterfront piers of Downtown Brooklyn and Red Hook. 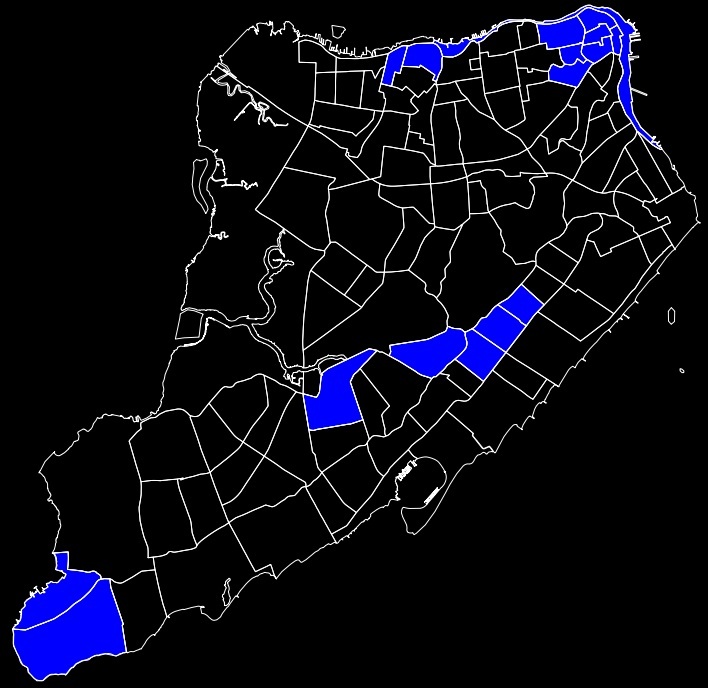 New York County has jurisdiction over the East River up to the bulkhead line of Brooklyn ("low water mark of the shore of Long Island" according to the New York consolidated law), leaving the piers technically governed by Manhattan. A third I discovered after this walk through Ozone Park and Woodhaven. On the way to meet up with the Burn Some Dust crew for walk # 32 I headed across Conduit - a major road that cuts the street grid which can only be crossed about every 6 blocks or so - by way of Sutter Avenue to East New York. The difference was stark - neat rows of manicured lawns gave way to dilapidated houses and streets without drainage. The thing was, I wasn't in East New York - I was still in Queens. The line between Brooklyn and Queens running from Howard Beach to East Williamsburg is the only major land border between two boroughs. While once fairly distinct demographically, the two boroughs have been sort of slowly bleeding into one another over this imaginary line during the last decade or two. Whereas in 1980, your average layperson would have been able to pinpoint where Bushwick becomes Ridgewood, or Cypress Hills becomes Woodhaven, today it's next to impossible if you don't know beforehand. Where I happened to be, the demograhic and mental border between the two boroughs was definitely Conduit - if I'm a parent, I tell my kids not to cross Conduit Avenue. But the geographic and political border was a few blocks west, running down Ruby Street, and then across a few blocks to Sapphire. 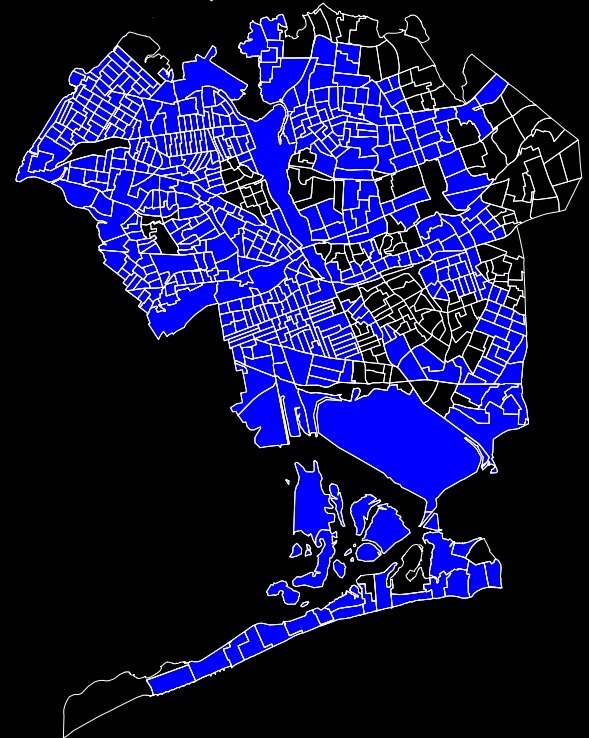 This led to a strange little area of no-man's land - Queens Census Tract 44:02. 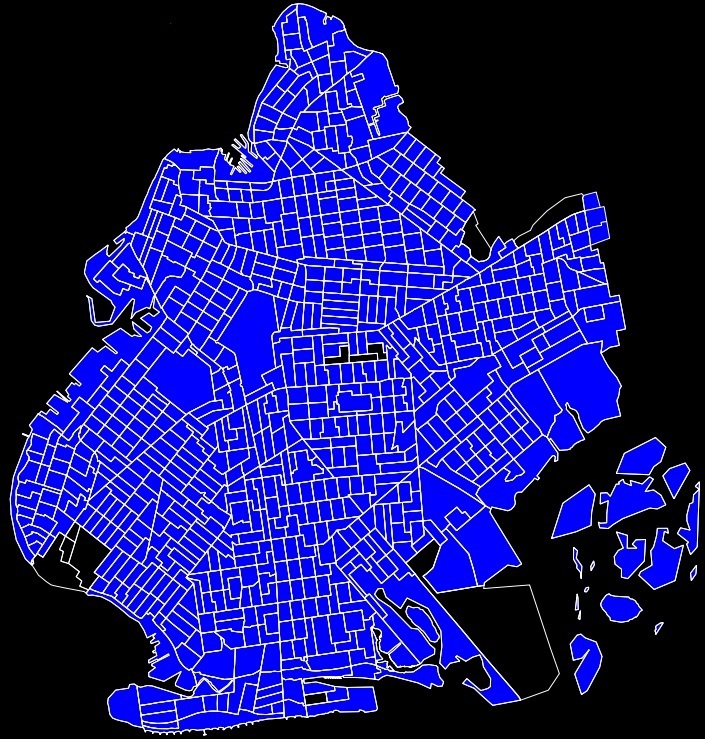 The real interesting thing was that there was also a slight, but noticable difference between the Brooklyn and Queens sides of the line. On the Brooklyn side, stuff was a little better, and there was even a little bit of New Construction. The Queens side, however, looked like it had been completely neglected since about 1972. I can imagine what happened - Brooklyn thinks it's part of Queens, Queens thinks it's part of Brooklyn, and both boroughs completely neglect it. The result is definitely the absolute shoddiest area of town I've ever been to - if any location scouts out there are looking for a stereotypical 1970s, post-apocolyptic area to film in, head out to the triangle between Conduit, Linden, and Ruby.